You can now really say #HelloMoto as Moto has opened not just one but two Moto Concept stores here in the Philippines. The two new Moto Concept stores are located at the 4th level of the Cyberzone areas in SM North EDSA Annex and SM Megamall that's both operated by MemoXpress. “The Philippines is a very important market for Moto, and we remain committed towards bringing the Moto experience to more Filipinos through our two new Moto Concept Stores. 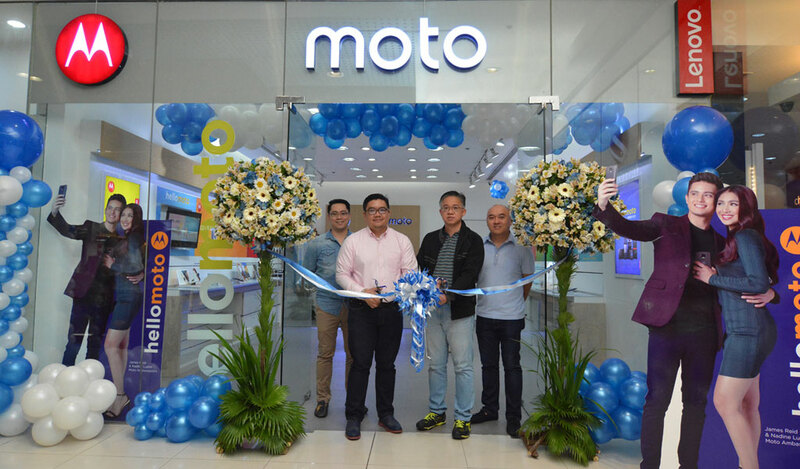 By offering greater product and service visibility, Moto is definitely on its way towards taking the Filipino digital lifestyle by storm,” said Dino Romano, Country Manager, Lenovo Mobile Business Group Philippines. Moto aims to become a definitive #3 player in the global smartphone market and Lenovo is expanding the brand line across emerging markets which includes the Philippines. The Philippines, which is currently the fastest growing smartphone market in ASEAN, has seen a total of 3.5 million smartphone shipments in the first quarter of this year, based on International Data Corporations (IDC)’s June 2016 report. Both Moto Concept Stores carry the newly-launched Moto smartphone lineup: its flagship line composed of Moto Z, Moto Z Play and the Moto Mods; its mid-range family, which consists of Moto G4 Plus, Moto G4 Play and Moto G Turbo; and the entry-level Moto E3 Power. This is a great move by Moto & Lenovo as there's still a lot of other smartphone brands that still don't have a concept store. It also means that Moto, after leaving the smartphone market in the last few years, is coming back and is ready to release a lot of devices this coming years!